The entertainment mogul stepped in to help a family in need. 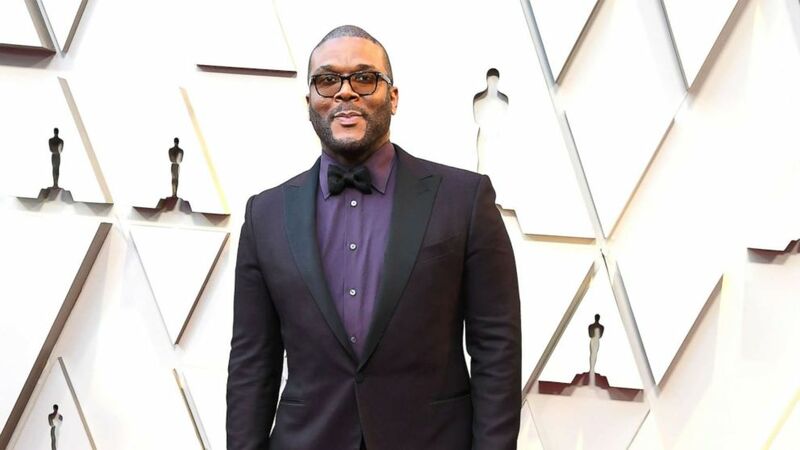 camera (Steve Granitz/WireImage via Getty Images, FILE) Tyler Perry arrives at the 91st Annual Academy Awards at Hollywood and Highland, Feb. 24, 2019 in Hollywood, Calif.
"I know it’s hard times," Perry said in a video posted to Twitter. Perry posted the photo with Obama to Instagram for Black History Month. The filmmaker confirmed the end of "Madea" and gushes about Tiffany Haddish. I said, 'Who?' He said, 'This is Tyler.' I said, 'Tyler who?' and he said, 'Tyler Perry.' At that point, I just broke down crying.